So you’ve decided on a winter wedding – congratulations! 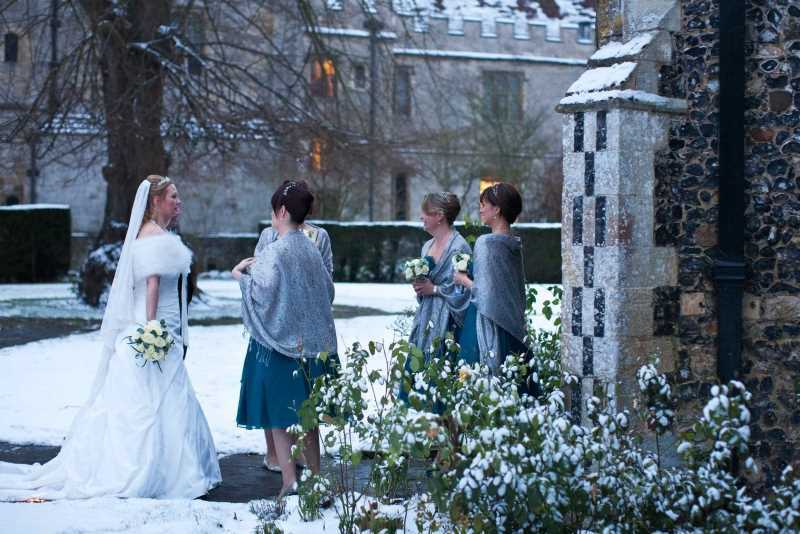 Winter weddings make a magical and romantic setting for your special day with the added bonus of being cost effective. The winter season is a beautiful time of year to get married; it’s cosy, it’s elaborate, not to mention fairy-tale like. What’s more, if you’re dreaming of a classic white wedding then you may just get the added drop of snow! 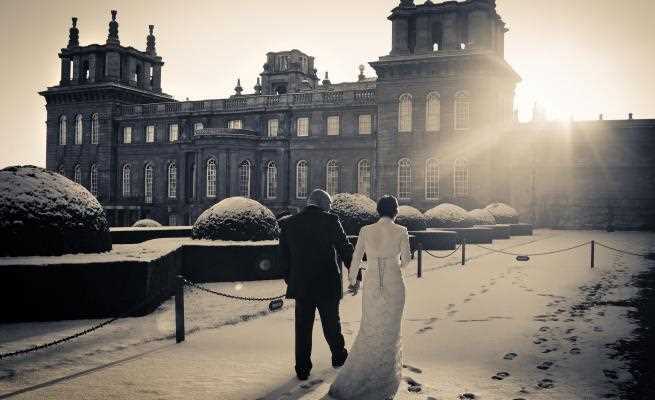 Selecting the right venue for your winter wedding is crucial as you need to be able to account for all weather types - as we all know that British winter is somewhat unpredictable! Take a look below at our winter wedding inspiration to find the perfect location for your special day. Stunning historical venues such as manor houses or castles provide striking grandeur and a mythical presence, creating a dramatic backdrop against the cold winter skies. De Vere Venues houses a collection of gorgeous country estates located throughout the UK for a magnificent winter wedding setting. What’s more, you’ll receive detailed advice and support from an experienced wedding co-ordinator and exquisite candle-lit cuisine within luxurious surroundings - all at a reduced price! Another beautiful country house lies in Buckinghamshire. The magnificent Italian Villa style Hedsor House makes a versatile wedding venue from small intimate celebrations to larger weddings for up to 800 guests! In Suffolk you’ll find Hengrave Hall, a striking Tudor mansion. During the winter the hall is filled with romantic candlelight where you can sip mulled wine and enjoy a mince pie whilst taking in the enchanting ambience of winter amongst beautiful surroundings. 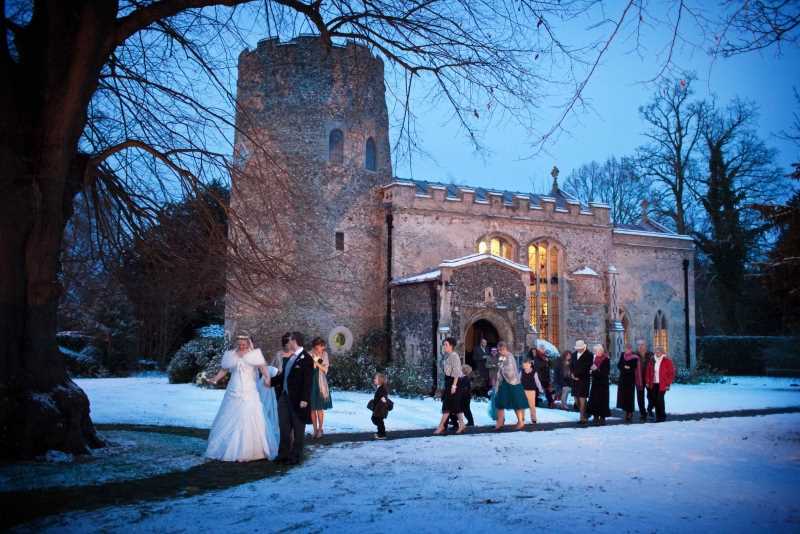 A charming chapel lies within the grounds making an ideal location for a Christmas carol service. The romantic Ragley Hall in Warwickshire provides splendid winter touches including sparkling chandeliers, luxuries interior and roaring log fires for a cosy and sophisticated setting. The magnificent Lumley Castle in County Durham offers an elegant Winter Wedding Package, incorporating seasonal favourites in their menu such as roasted chestnuts, bucks fizz and brie and cranberry tartlets. If you’re looking for a quaint venue in Yorkshire then the magical Waterton Park Hotel is the perfect setting for your winter wedding. Seasonal touches include stunning views over their frozen lake and even the hire of the hotels snow machine for a dreamlike white wedding! Elsewhere in the idyllic location of the Lake District in Cumbria lies The Wordsworth Hotel. Their special Winter Wedding Package includes a 4-course 2 rosette wedding breakfast, sparkling reception and fabulous Christmas décor. Or why not hire a cosy barn such as Oaks Farm Weddings, where you can enjoy attractive garden views ideal for stunning outdoor photographs before retreating back into the warmth to enjoy warming drink with your loved ones. Pretty embellishments include fairy lights and scented candles for a magical touch. At this enchanting time of year you can choose to make the most of the seasonal atmosphere, incorporating festive favourites into your catering such as mince pies and mulled wine for that extra winter touch. You can keep your guests warm by choosing a venue that offers roaring open fires to enhance the cosy ambience. Adorn your venue with snowflake décor, glowing candles and shimmering baubles - the choice is yours! If you’re feeling particularly Christmassy you can even add a Christmas tree, mistletoe and holly wreaths for an unforgettable and joyful celebration. When it comes to wedding clothing and accessories we have a vast range of suppliers available. There are many winter clothing options available for both the bride and groom, bridesmaids and usher men. Layering up is a great choice for the bride, choose from fur coats to velvet jackets and lace cardigans that can be removed once inside in the warmth. We have a stunning range of wedding dresses suitable for winter, check out bespoke bridal couturier Judy Mott, who supplies a dazzling range of romantic winter styles and fabrics tailored towards your needs whilst importantly keeping you warm! When choosing your winter wedding colour scheme you can play to the tones of the season, selecting warm reds and festive greens or pure whites and shimmering metallics. You can integrate your colour scheme into every last detail from the decoration, flowers, stationary, accessories and party favours. Our extensive list of suppliers will work with you to create a wedding package that is personal and unique. You’ll find that our wedding florists specialise in wedding bouquets to suit all seasons, so you will be in experienced hands when it comes to the right flower types for you. When thinking about wedding transport make sure you are prepared for all weather and don’t forget to wrap up warm and bring an umbrella! You can be flexible with your mode of transport, take Westways Carriage Horses, who provide horse and carriages that are either fully enclosed or with moveable hoods – a great addition if the weather suddenly changes! Some companies such as Black Horses Limited even provide cosy extras like foot warmers, fur lined hot water bottles and rugs! Browse our wedding directory below to start planning your magical winter wedding wonderland fairy-tale today.